When you cook at home, you control the amount of fat and types of ingredients that go into the foods you eat. But when you're racing out the door in the morning or coming home after a long day at the office, who feels like cooking? 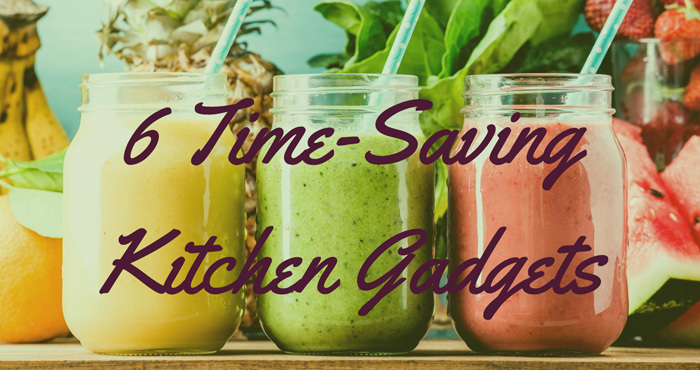 Fortunately, these gadgets can cut prep time down to a manageable amount. We've collected six great kitchen gadgets that will save you time and effort in the kitchen and make enjoying home-cooked meals easy enough to do every day. 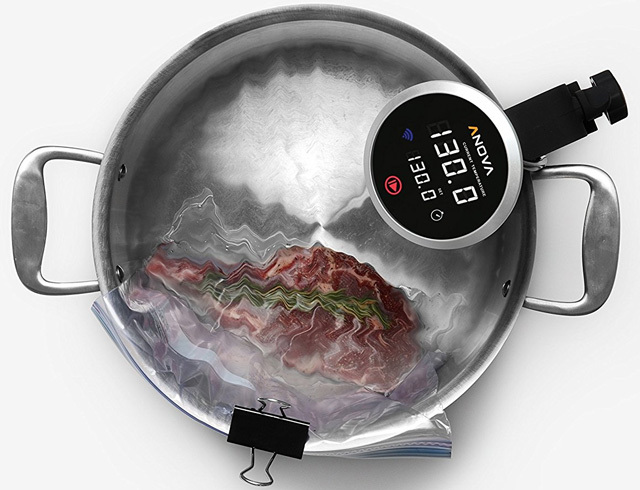 A sous vide machine like the Anova Sous Vide Precision Cooker ($149 for Bluetooth or $199 for Wi-Fi on Amazon or Anova Culinary) makes it easy to cook delicate foods like fish without worrying about overcooking and drying out. Simply attach the device to any pot, add water, put your ingredients in a plastic bag or sealed glass jar and press start. Adjust the time and temperature manually, or cook from recipes in the app. The best part is that you can walk away and get other things done while your healthy meal cooks, saving you time and calories. Home cooks have known for years that a slow cooker is a great way to save time in the kitchen. Just toss dinner ingredients in before you leave for work, and by the time you get home, you'll have a delicious, hot meal ready to serve. 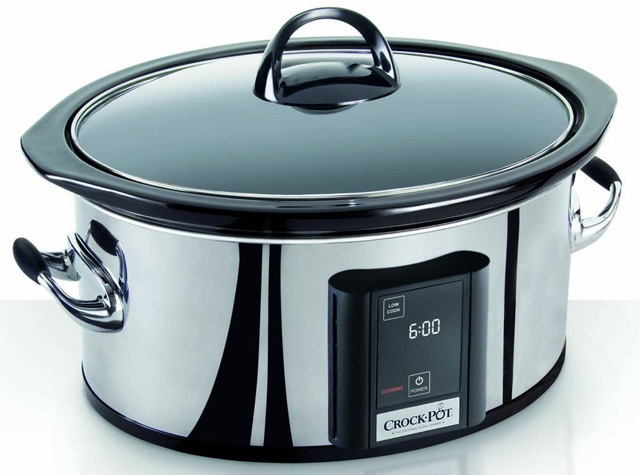 The programmable Crock-Pot 6.5-Quart Countdown Programmable Touchscreen Slow Cooker ($79 on Amazon) adds smarts to an already great appliance. Program your cooking time and once it's complete, the slow cooker will automatically shift to keeping your dinner warm. 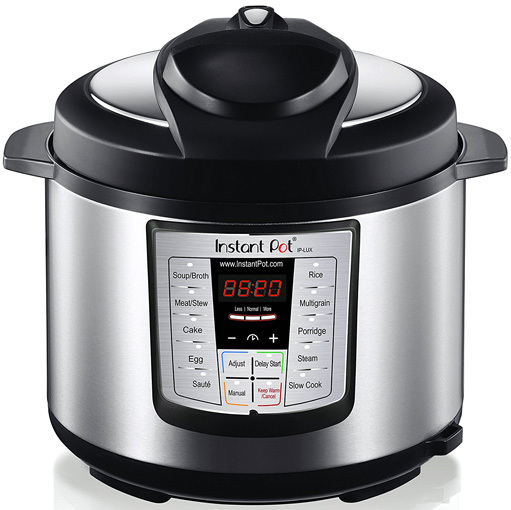 For more versatility, the Instant Pot IP-LUX60 V3 6-Quart ($125 at Instant Pot and $80 at Amazon) does almost everything: a pressure cooker, a slow cooker, a rice cooker, a steamer and a warmer. It comes with 10 preprogrammed settings and has a 24-hour timer to delay cooking, so it starts and finishes right when you want it to. This smart kitchen gadget also has a microprocessor that constantly monitors pressure, temperature and time to make sure your food is cooked to perfection. If you're a fan of starting the day off with a fast food-style breakfast sandwich, this easy breakfast sandwich maker will save you calories, time and money. 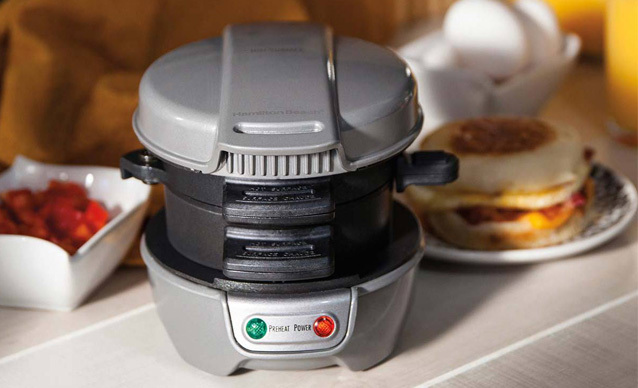 The handy Hamilton Beach Breakfast Sandwich Maker ($30 at Hamilton Beach and $21 at Amazon) toasts bread, cooks the egg and heats meat, cheese and anything else you want on your ideal breakfast sandwich. And since the surfaces are non-stick, you can use little or no butter. Just combine the ingredients for your sandwich in the sandwich maker, and it will cook, toast and heat to perfection. That sounds like breakfast deliciousness to us. When you're done, all the parts can go right into the dishwasher. Blending a nutritious smoothie for breakfast or cooking a soup for lunch takes just minutes with a high-powered blender like the Vitamix A2300 ($400 on Vitamix or Amazon). 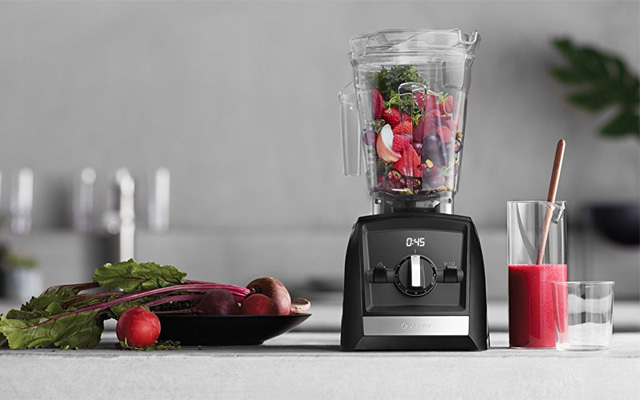 Unlike regular blenders, high-power blenders generate enough heat while blending to actually cook soups. We've made butternut squash soup in minutes. If you have a sweet tooth, skip the ice cream and easily blend up a healthy sorbet. While making meals from fresh ingredients is great, cleaning up afterwards can be a chore. With the Vitamix, just drop in dishwasher soap and some warm water, then run it on high for 30 seconds. The 2.1-horsepower motor does the rest. 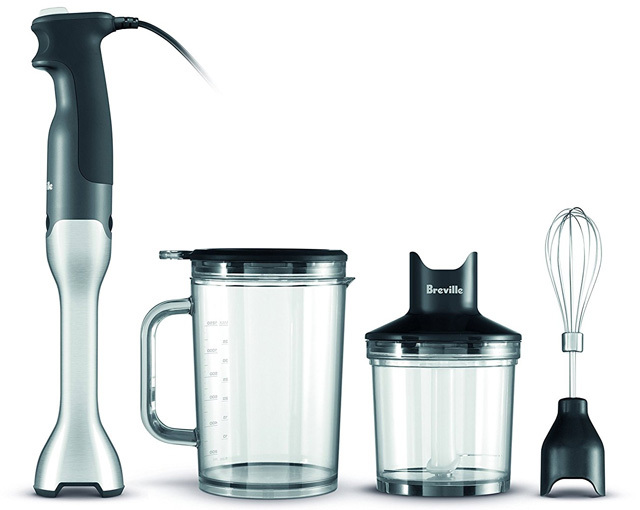 A much less expensive option is an immersion blender like the Breville BSB510XL Control Grip Immersion Blender ($100 on Amazon). While it doesn't have the power required to make hot soups, it makes short work of smoothies, even with crushed ice, and quickly thicken soups with no added calories. The Breville’s bell-shaped base and internal ribbing reduces suction to give you greater control and produce more efficient blending. Why do you only quote prices from Amazon? They’re trying to take over the whole market, putting both large and small businesses out of business, and yet you name only Amazon in every price quote. Being a small business owner myself, I’m offended…and very annoyed. Actually, we have prices/links for many of the items above from both the company store and Amazon. After years and years of reviewing products across numerous categories, we’ve found that Amazon almost always has the best prices, the broadest selection and a consistently high level of service quality (as long as you’re buying direct from Amazon and not in the broader marketplace). Though we will include other options when the product is not available on Amazon, we know of a lower price through another store or we believe there is a compelling reason why a consumer may be better off buying the product directly from the manufacturer or locally. Though, Amazon vs small business isn’t an either/or situation. Many small business owners are now selling through Amazon, as well. So when we send people to Amazon, it also supports those sellers. And by selling on Amazon, a small business owner in Kansas City now has the potential to reach millions of customers across the US, and even globally. For full disclosure, like most online publications, Techlicious receives a small commission from some, but not all, of the “click-thru to buy” links contained on article pages. These click-thru links are determined after the article has been written and recommended products are not chosen based on commissions. Commissions in no way impact the price paid when purchasing the product. Amazon is one of the programs for which we are an affiliate.